Even those who have lost everything, still have something to lose. An American woman wakes up alone in a tent in the Norwegian mountains. Outside a storm rages and the fog is dense. She has no map, no compass, and no food. Jane Ashland, we soon discover, is a novelist with a bad case of writer’s block—she had come to Norway to seek out distant relatives and family history, but when her trip went awry, she tethered herself to a zoologist she met by chance on the plane, joining him on a trek to see the musk oxen of the Dovrefjell mountain range. 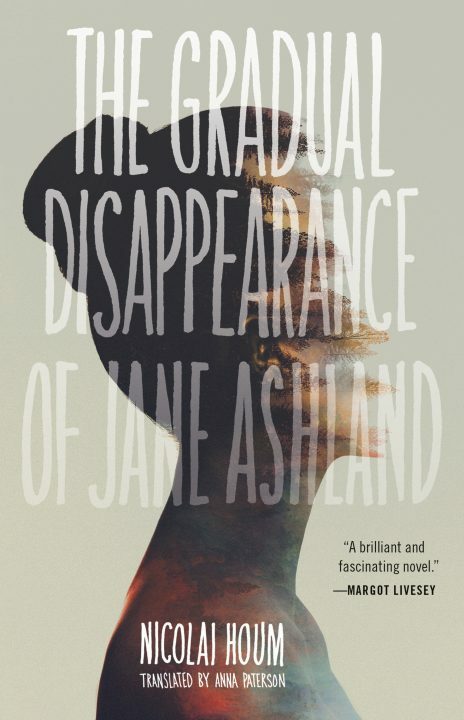 At once elegant and gripping, The Gradual Disappearance of Jane Ashland moves seamlessly between Jane’s life in American and the extraordinary landscape of the Norwegian mountains. As we gradually unpack the emotional debris of her past—troubled Midwestern parents, a loving courtship in New York, and a cruel, sudden tragedy that rearranged everything—we begin to understand what led her to this lonely landscape. 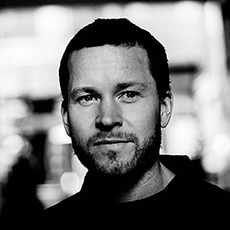 Born in 1974, Nicolai Houm has published two novels, which were both critically acclaimed in Norway. The Gradual Disappearance of Jane Ashland is the first publication of his work in English. He works part time as an editor in the publishing house Cappelen Damm, and lives in Lier with his wife and daughter.